Singing provides many benefits for the elderly. Ongoing research has shown that regular singing can lift your spirits, increase your immunity and provide a workout for your brain and your lungs. These benefits are significant for those experiencing mild to moderate dementia. 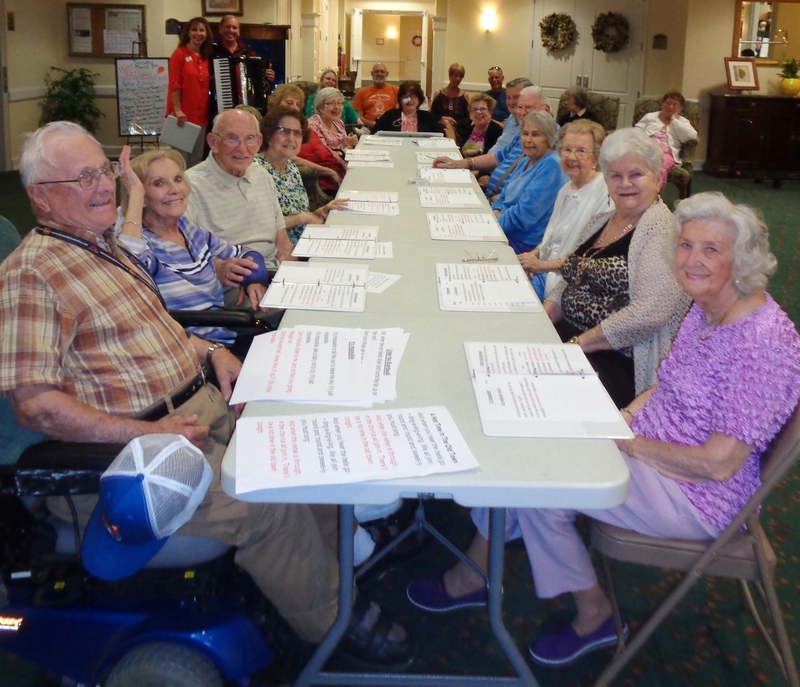 The Bridges Assisted Living community offers residents the opportunity to sing numerous times a month as part of their scheduled Activity Program. Residents partake in karaoke, sing-a-longs, church services, and, most recently, The Bridges Choir. Under the direction of Wellness Coordinator, Gary Lenza, residents join voices and sing music from their era. The Bridges Choir has experienced steady growth with more residents joining each month. From the smiles on their faces, it is apparent that our singers are experiencing joy as they sing. The Bridges Chorus during one of their practice sessions.